You have always loved cats . . .
Perhaps you have dreamed of becoming a cat breeder for many years. Finally, you have the time and money to follow your dream and start your own cattery. Your goal is to produce beautiful, healthy, adorable kittens. The adventure begins! Choosing the perfect cattery name is part of the fun and excitement of taking your first steps along the road to being a cat breeder. So, how DO you choose a cattery name? Since there is no point in trying to register a cattery name that will be automatically rejected, the place to begin is knowing your registering organizations rule's for choosing your cattery name . . . The cattery name cannot exceed 12 characters, including dashes, hyphens and blanks. No other punctuation is allowed. A given name, such as Frank or John, cannot be used. Titles such as Princess, Earl or Madam cannot be used. The cattery name cannot be the name of a recognized breed. you can usually check their rules on their national website. Being creative is part of the fun of choosing a cattery name. Create a name from the breed Characteristic: Breeders of American Curls and Scottish Folds are among some of the best at this. Name your cattery after a favorite book or and characters/places in the book. Name your cattery after something that has a personal meaning to you — where you live, what you do for a living, a hobby . . .
PREFIX: When a cattery name is registered with CFA, cats bred by the owner(s) of the name shall carry the cattery name as a prefix. SUFFIX: A new owner of record may add their registered cattery name as a suffix (preceded by "of") when the name of the cat will not exceed the limit of 35 characters. Cattery suffixes may come and go as a cat changes ownership. The original breeder's cattery name remains forever. 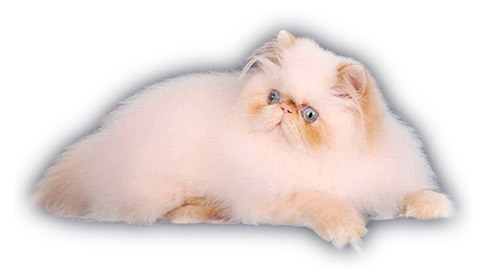 you may run into a problem adding it to a cat's name purchased from another breeder. List your first, second, third and fourth choice for a cattery name. DO NOT LIST A NAME YOU DO NOT WANT. If you wish, you can email your chosen name(s) to registration@cfainc.org and they will let you know if it is available. Complete the name and address information for the cattery owner. If more than one owner, please list each additional owner. NOTE: Leave the Breeder # field empty - this number will be assigned to you by CFA.